Leather is a material that is created from animal skin. It is a flexible and durable material that is tanned from rawhides of animals and skins. This material is used widely both in small cottage industries and for industrial purposes. The leather is used for various purposes like bags, couches, chairs, etc. The leather used in these is produced by several different tanning processes that transform hides and skins into leather. Leather looks good in the interiors. Whether it is inside a car or a home with a leather couch, it does offer an elegant look. However, it depends on the person using leather and being comfortable with the material. Leather comes in great colors and it can be coordinated with the décor easily. 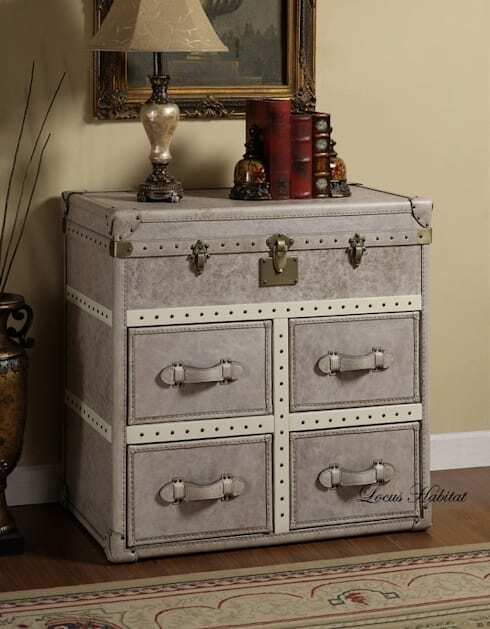 This material is hypoallergenic and does not collect dust easily. So people with allergy prefer using this magic material. 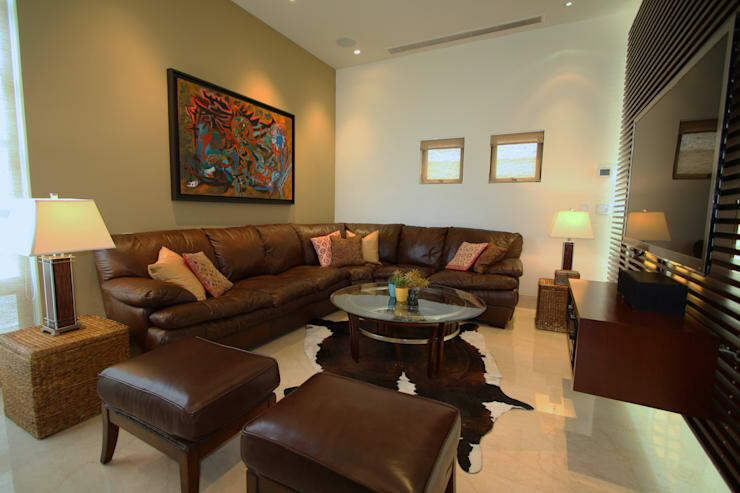 Leather in interiors is totally worth it, as it not only lends elegance to a room but also is trendy and modern. If it is used in the interiors of a house or in a car, the great advantage of leather is its care. It is very easy to clean and only requires a light dusting couple of times a year. There are four types of leather. Full-grain leather is largely used in making footwear. This kind of leather is not sanded, buffed or snuffed and has good breathability. It also has less moisture content and gets a patina with prolonged use. This leather has two types of finishes, aniline, and semi-aniline. This is high-quality and so furniture and footwear are made using this. Top-grain is high-end leather of second highest quality. It is thinner and more pliable than full-grain. The breathability factor is less in this type of leather as it is sanded and given a finish coat. It feels like plastic and does not acquire a natural patina. This is also less expensive than full-grain leather. Corrected-grain leather has an artificial grain applied to its surface. The hides used to make this leather are not of good quality. This is sanded to correct imperfections and then coated with stain or with dyes. Corrected-grain is used to make pigmented leather in order to help correct the imperfections. Split leather is created from the fibrous part of the hide that is left over after the top grain has been separated. During the splitting process, the top-grain and drop split get separated and in thick hides, the middle split is separated into multiple layers until the thickness prevents it from splitting further. In this type of leather, an artificial layer is applied and embossed with a leather grain. Splits are also used to create suede. The untreated natural leather is a light tan in colour. Leather in modern times comes in dozens of colours. Depending on people’s preferences leather ranges from bleached white through multiple shades of brown and black manufacturers dye leathers in several shades to suit different tastes. Leather undergoes several treatment processes before numerous furniture products are created. Furniture is made from all the different type so leathers like full grain, top grain, split grain, bonded leather and faux leather. Bonded leather is relatively inexpensive when compared to other grained leathers. With bonded leather, scraps and fibers are mixed together and rolled using adhesives. After it is rolled it is dried to bring down the moisture. Many do not consider it real leather. However, this leather is durable. Since it doesn’t undergo chemical tanning it is useful as furniture material especially for people with allergies. 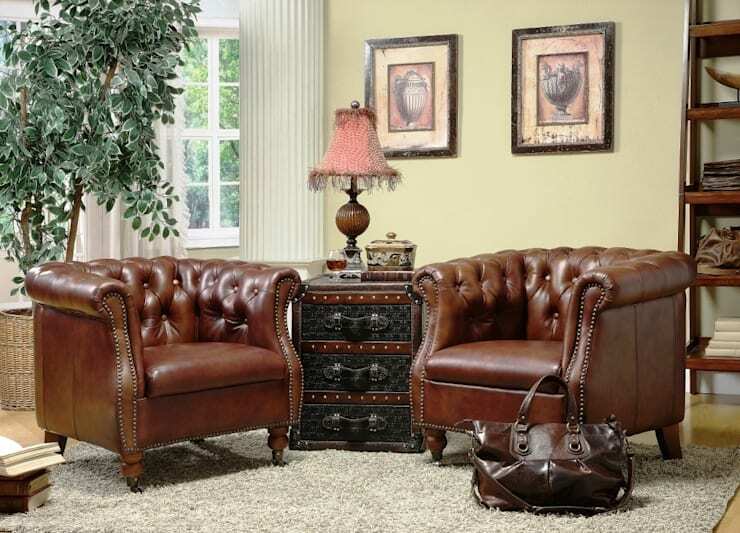 Full grain leather furniture costs more is durable and more expensive. The grain on this hiding feels better with time. Top grain leather furniture is the most expensive furniture as it is known as corrected grain or full pigmented is the toughest leather. This type of grain is buffed to remove imperfection. It is very soft to touch and is longer lasting. Sofas and other furniture in this material are the most expensive furniture. Leather should be cleaned often using a soft cloth or microfiber to dust the surface. Saddle soap can also be used to clean leather. Another way of cleaning leather is to lather moisturizing soap and use it to wipe the leather surface with a cloth. Leather should be kept out of direct sunlight. In order to remove spots from leather sofas, dip a cotton swab into alcohol and rub the spot. A non-oily cuticle remover too can be used. Leave this on overnight and wipe it off the next day with a damp cloth. With proper maintenance, leather furniture can look better each year. This type of furniture should be handled with care even though they are durable. Though wrinkles are considered to give a classic look to furniture, large tears and scuff do not look good. 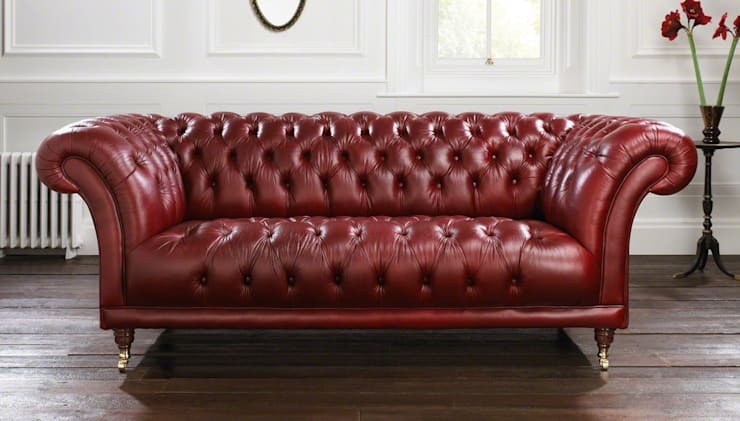 Any spills on a leather sofa should be cleaned immediately. Greasy and oily stains need professional attention. No product should be applied to conducting a spot test. Leather furniture should be dusted and vacuumed. When not in use, leather furniture should be covered. This will keep the dust off and also keep the sunlight off as it can dry and crack the leather with time. This pristine set of leather sofa and couch has been deigned by Jaroslaw, Poland-based furniture and accessories provider Italian Style. Leather products are expensive and this depends on the type of leather used. Products like furniture, handbags and shoes are expensive and they are expensive as they are handmade. High-quality leather will be handmade to a large extent. It involves a lot of labor and skill to manufacture these goods and hence the final product tends to be expensive. 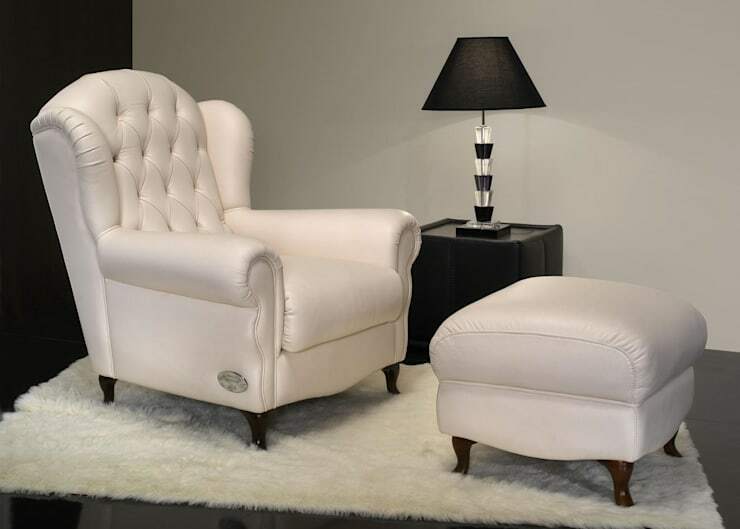 You may read Stunning living room leather furniture to know more about leather furniture and its elegance.